I FOUND CHARLIE’S OLD SHIRT! I found it! Woooooot! For a few months, I thought I had lost a refashion in progress shirt. Charlie had generously given me one of his old shirts to refashion, and I had started the refashion process because I knew exactly what I wanted to do with the sleeves. So, I hacked off the long sleeves at a certain point and created a cuff with the remaining sleeve. Once I was satisfied with where my cuff sat on my arm, I tried to sew a few invisible stitches to keep the cuff in place. The stitching isn’t perfect, but I’m pretty happy with the outcome anyway. I see a few tiny creases, bubbles, and stitches, but nothing terrible. 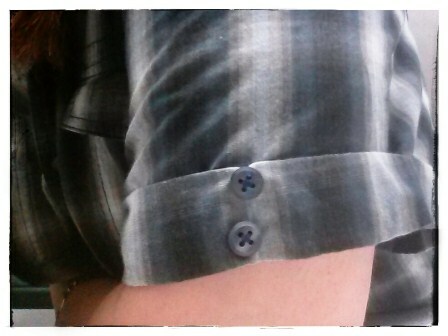 To make the shirt more girly, I added two buttons on each side cuff. I’m very pleased with the result of the first step. 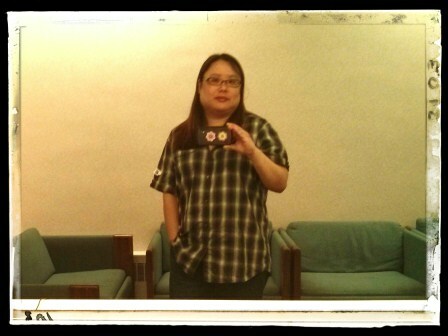 I wore the shirt for a day before deciding to take in it and hem it an inch. While I don’t mind a little room with a button-down shirt, I thought I had too much room and the length was just too long for my short frame. IS THIS A FLAT SEAM? WHAT THE POOP KIND OF SEAM IS THIS? 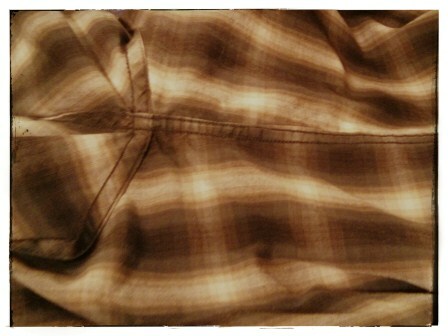 To take in the shirt, my original plan was to work with the side seam that ran from the armpit to the bottom. But I discovered the side seam was a flat seam, and I wasn’t quite sure to work with that. When I looked over the rest of the shirt, I found two dart lines (probably not the correct terminology) in the back. Hmmmmmm. I think I can work with these darts … I can take in the shirt using the darts, right? Sure! Why not? 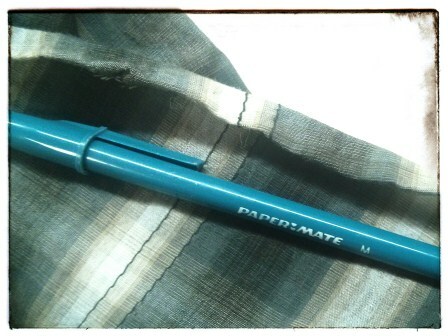 I carefully sewed a straight stitch next to the original darted line. Easy. Except for one thing … these little air pockets at the top of the darts. Hmmmmmm. OK, I didn’t follow the original dart exactly at the very beginning. 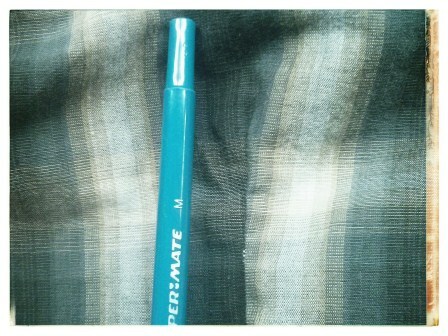 And Charlie pointed out the tampered dart line was more obvious than the tiny pocket. I didn’t care about how the adjusted dart messed with the pattern of the shirt. I was more concerned about the small pocket at the top of the dart. The fix was easy, though. 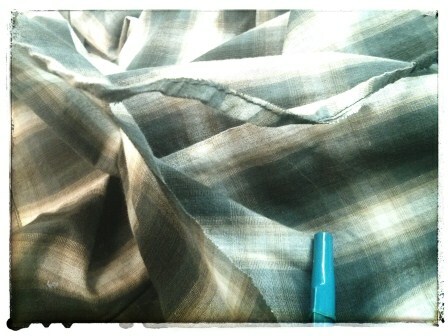 With my sewing machine, I followed the curved part of the original dart until it intersected with my adjusted dart seam. Not perfect, but close enough. I’m happy, and that’s what matters most, right? Ithought hemming would be the easiest part – I was wrong. Really wrong. I honestly don’t know why I thought hemming would be easy. Where do I even start to pin the curves? Should I cut half an inch off the hem first? And do I cut with the curve or make a straight cut and worry about the curve later? So many questions! I left the shirt alone to think about the answers and research curve hems on the interweb. But during my search, I decided my refashion fixes weren’t girly enough and the shirt wasn’t turning out like I had imagined. 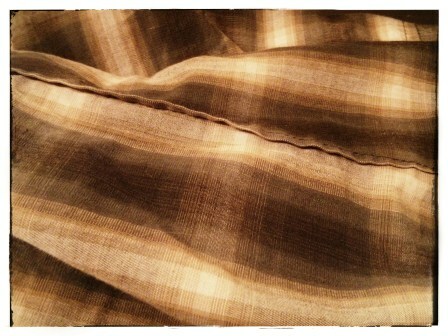 To make matters worse, I had started taking off the original bottom hem and carefully folding in a new hem. I came very close to tossing the shirt in the trash but then decided to give it one more chance. I have a preliminary idea of what I would like to do with the shirt, but who knows if I can actually follow through from beginning to end? I’ll keep you posted with the results!